I. 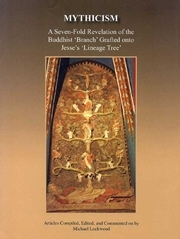 In the first Section, Robert M. Price's article, "New Testament Narrative as Old Testament Midrash", and Thomas L. Brodie's book, Beyond the Quest for the Historical Jesus, reviewed by Rene Salm, reveal a layer of fictional mimetic dependence of many works of the New Testament on the Old Testament. II. In the second Section, Dennis R. MacDonald's book, The Homeric Epics and the Gospel of Mark, reviewed by Richard Carrier, reveals a truly astonishing second layer of fictional mimetic dependence which Mark's Gospel has on Homer's lliad and Odyssey. As Mark's is the earliest of the four Gospels, this mimetic dependence also extends to the other three. III. In the third Section, an examination of the books by John H.C. Pippy (Egyptian Origin of the Book of Revelation) and D.M. Murdock (Christ in Egypt) reveals a third layer of fictional mimetic dependence of the New Testament on ancient Egyptian religious writings. IV. In the fourth Section, ten very short reports by Christian Lindtner reveal an astounding fourth layer of fictional mimetic dependence of the canonical Gospels on Buddhist scriptures. V. In the fifth Section, Robert Eisenman's book, The New Testament Code, reviewed by Robert Price, reveals a fifth layer of fictionalized mimetic dependence of the New Testament on a coded transformation of historical material from the writings of Philo of Alexandria, Flavius Josephus, and others. In the Preface, Introduction, and Miscellaneous Concluding Remarks, Michael Lockwood reveals how these five mimetic layers are interrelated and how Lindtner's overarching theory confirms and even surpasses the German philosopher Arthur Schopenhauer's brilliant insight that Christianity came into being by its "grafting the doctrine of Buddha upon the mythological dogmas of Judaism". This book is sequel to Lockwood's earlier work, Buddhism's Relation to Christianity (2010).